What's that rising from the clouds? The space shuttle. Sometimes, if you look out the window of an airplane at just the right time and place, you see something unusual -- in this case a space shuttle launching to orbit. 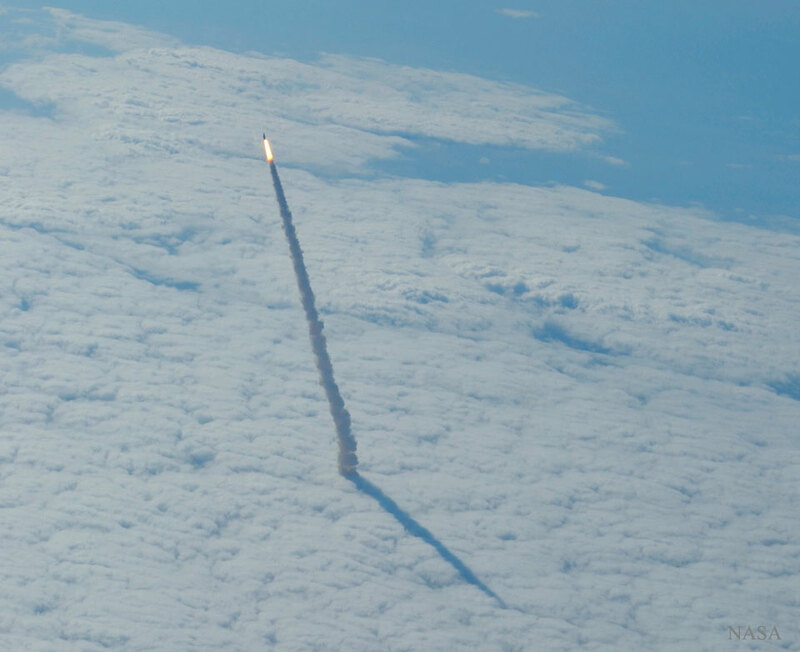 The featured image of Endeavour's final launch in 2011 May was captured from a NASA shuttle training aircraft. Taken well above the clouds, the image can be matched with similar images of the same shuttle plume taken below the clouds. Hot glowing gasses expelled by the engines are visible near the rising shuttle, as well as a long smoke plume. A shadow of the plume appears on the cloud deck, indicating the direction of the Sun. The US Space Shuttle program concluded in 2011, and Endeavour can now be visited at the California Science Center. Planned for tomorrow, however, is a different launch -- that of the Transiting Exoplanet Survey Satellite (TESS) aboard a SpaceX Falcon 9 rocket. Deep shadows create dramatic contrasts between light and dark in this high-resolution close-up of the martian surface. Recorded on January 24, 2014 by the HiRISE camera onboard the Mars Reconnaissance Orbiter, the scene spans about 1.5 kilometers. From 250 kilometers above the Red Planet the camera is looking down at a sand dune field in a southern highlands crater. Captured when the Sun was about 5 degrees above the local horizon, only the dune crests were caught in full sunlight. 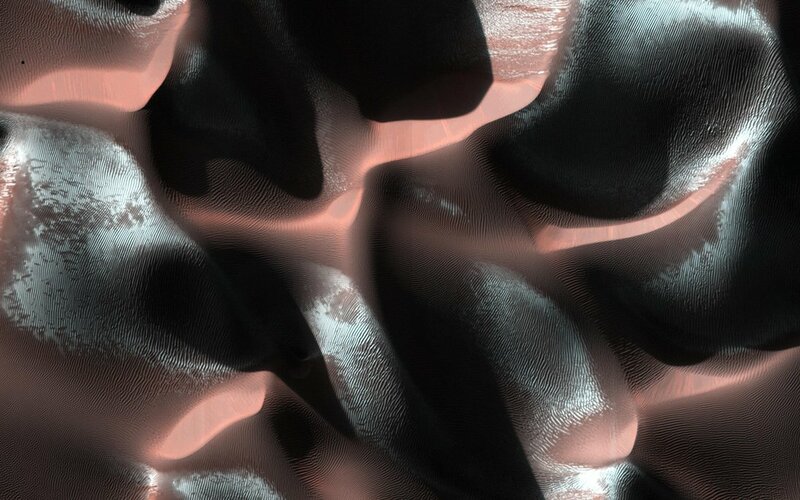 A long, cold winter is coming to the southern hemisphere and bright ridges of seasonal frost line the martian dunes. Χώρισαν, τα ξαναβρήκαν και τώρα η σχέση τους έλαβε τέλος οριστικά! Εξέπνευσε ενώ γλεντούσε σε γάμο! Η Ρεάλ Μαδρίτης ζήτησε την Ακρόπολη!